A residential, commercial or multi-family repair, remodel or a new from the ground up project doesn’t need to be a nightmare; it does, however, require planning, and we can help. It is your money; you are entitled to have the job turn out the way you want it to. From developing a “Wish List”, setting a realistic budget, dealing with your insurance company and getting the required permits, to setting rules for your contractor, obtaining lien releases and knowing what to look for at the job completion, we can show you how to develop a plan that will produce the results that you will be able to enjoy for years. We will work with most insurance companies. Usually we are able to work within the scope of their estimates. We do not write estimates to contradict the insurance companies, however, if you decide to contract us for your repairs, we can help negotiate any item(s) the adjuster might have overlooked or under priced. With insurance claims, your only out of pocket expense will be your deductible. If you have other repairs you would like done or upgrades you would like, we can do those at the same time, for an additional charge. Because efficiency ratios go up with more work, it could actually cost you less now for those repairs or upgrades as opposed to later. Termites, generally, are active between March and September. They can cause considerable damage before you even know they have penetrated your home. A common mistake a home owner makes is killing the termites before removing their means of access or fixing the problems that encouraged them in the first place. Water leaks, sprinklers too close to your home, poor drainage in your yard and cracks in your foundation are just a few of the “encouragements.” If you are not familiar with termites, it is best to have a professional inspect your home periodically or maintain a “termite policy” with a reputable pest control company. However, it is important to know, just because you have a contract with a pest control company, it doesn’t mean you will never get termites or that all the damage will be covered. We have a considerable amount of experience with termites repairs. We can help with the repairs, determining how extensive the damage is and help locate the points of penetration and suggest a plan of action to stop further infestations. Rats, squirrels, raccoons or other rodents entering your home, rental or business can cause serious damage to your property and can also, be a potential health hazard. . We can locate the entry points, assess damage already done, and seal them up to avoid future infestations. This will help protect your family and you customers. Unfortunately, catastrophes strike occasionally. Whether it be weather related, fire, automobile or an intrusion, we can provide temporary services to minimize damage to your home from bad weather conditions or secure your home or business after an intrusion. This would include tarping off a roof, closing up windows and doors, or building temporary walls, etc. All board-ups or emergency repairs are temporary and carry no warranty. We will be happy to assist with the reconstruction or repairs once your insurance company has evaluated your damages or losses. We provide full restoration and reconstruction services. Services include fire and smoke damage restoration, mold remediation, water mitigation, carpet cleaning with spot, stain and odor removal, upholstery cleaning, drapery cleaning, air duct cleaning and inventory and pack-out of contents. Services, also, include full reconstruction after mitigation. Want a new kitchen or bath? We can assist you in simple cosmetic updates or complete remodels. It is always best to know what you are wanting to achieve with your remodel or updates. Decide if you just want a new look or if you need more room? Are you trying to increase the value of your home for future sale? Put all your ideas on paper; colors you are wanting, types of countertops, lighting, etc. Do a simple sketch or diagram of what you are wanting. Save pictures of rooms, tiles, countertops, plumbing fixtures, etc. Then call us and we will help you with these ideas. Not all of your ideas will always work, but we can point out which ones will work and which may not and give you alternatives. Some people think that all remodels will increase the value of the home. This is not always the case. Some can actually lower the value of the home. We can help lead you in the right direction. Ever think about how nice it would be to have an additional room for the kids to play or media room to have friends over to watch theater quality movies. Children too old to share a room any longer? Or just want more space in your home? Consider converting your garage. A room addition can also, give you more space. There is a lot more to consider when adding a room to your house. If you are extending your home by adding a room to the back, consider that you will have to change your roof line to do it properly. Do not let someone tell you they can add a room and not change the roof. You will have constant problems with leaks and it could take away from the value of your home. It can trigger other hidden costs, as well, such as under sized air-conditioning or electrical service. Also, if it is not done properly, you could have problems with insurance coverage that you may not discover until you have a claim. The facts vary from region to region and study to study, but the one consistency is you lose a lot of heating and cooling energy through your windows and doors. Most states have adopted green energy standards using LEED, Leadership in Energy and Environmental Design, to cut down on energy consumption. A lot of cities actually require permits to replace windows now. This is to insure you are meeting the energy saving requirements for that region. We use top quality windows and doors in a wide variety of designs. Walls and ceilings are another way of losing heating and cooling energy. They are constantly increasing the amount of insulation required for new building and remodeling. Most people are not aware of how under-insulated their homes are. Radiant barrier is another form of insulation in your attic. When used in conjunction with a good insulation, can drastically cut your energy cost. If you are looking for more ways to save on your energy cost, call us for a quote on insulation. With all the new gadgets today, people use a lot more electricity than they did 30 years ago. Most people in older homes do not have the capability to safely use all of today’s technology. We can help you upgrade your electric service so you may use this technology without blowing breakers or putting your family and home at risk of starting a fire with a power overload. We can also, assist in getting your electric service provider to upgrade the lines to your home to ensure you have the proper power to your new service. We, also, do repairs, such as changing out plugs, switches, lights, fans, and more. Plumbing is one of those repairs that everyone hates to deal with. Most plumbers, though they might fix the problem, are not real careful doing so, and can sometimes create more work than necessary in doing those repairs. Sometimes cutting holes in walls or concrete foundations is unavoidable, however , they don’t always have to be so deep or large. We can do your repairs with minimally invasive techniques. We can, also, repair the areas without you calling another contractor. We, also, install new faucets and toilets, hot water heaters, etc. Homeowners, property owners, Tenants : how much of your profits and time are going down the drain for repairs to plumbing problems and water leaks that could have been avoided with proper routine plumbing maintenance? Protect your investment. With A-1 LIGHTFOOT CONSTRUCTION LLC your property and you could have the peace of mind and cost savings that come from doing a preventive plumbing check .Don’t be caught with a emergency.Call us to help with current and future possible problems and Plan ahead . Just like your HVAC, electrical and other building systems, it’s important to make sure the plumbing system is checked thoroughly and regularly. With regular plumbing maintenance, problems are caught earlier, when the solution is usually simpler and less expensive. Preventive maintenance often eliminate the disruption to your home/business that an unexpected plumbing failure can cause. Proper maintenance of your property’s plumbing systems can save money and energy. Consistent maintenance can also help you with tenant retention, removing the aggravation of a unexpected plumbing problem. We do all heating and A/C repairs, as well as, full replacements and duct installation. 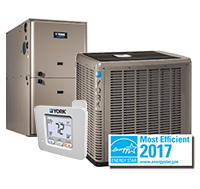 We have a full line of air conditioning and heating products to meet price budgets for all customers. We, also, provide duct cleaning services. We do sheetrock patches, repairs or full installation of new sheetrock. We can match most existing textures, as well as, re-texturing whole rooms to provide you a new look. We provide full house painting services, as well as small painting jobs. We provide interior and exterior trim repairs. We provide trim upgrade services, such as base, door casing, crown mould, and doors. Also, cabinet repairs and replacements, window sill and window seats, bookcases and closet shelving. We use quality floor companies for a wide range of flooring products, including wood, carpet, vinyl, tile, stone and concrete restoration and staining. Did you know, not all roofing repairs are considered coverable events. A lot of roofing issues are considered property owner neglect. Insurance companies will pay for the damages caused by roofing issues, but not the issues themselves. It is property owner responsibility to maintain all chimney flashing and pipe jacks, vents, etc. It is important to make sure these are sealed from any water penetration. We use professional roofers for all our roofing. We do repairs, and full replacements. We also, do all flashing repairs or replacements, as well as, vents and turbines, etc. Spray Foam Roofs are a sustainable roofing system for a wide range of commercial, agricultural, industrial and residential applications. This advanced insulation and roofing system is applied to any shape and substrate. It seals the building envelope to stop heat transfer through the roof deck, minimizes air conditioning from escaping, and restricts unconditioned air from entering the building. We provide all types of masonry services. Brick, block and stone work, stucco and E.I.F.S. We provide a variety of concrete services, including, stamping and staining. We can also, repair or pour new sidewalks, patios, porches, etc. We do have the ability to pour foundations on new projects we are working on, however, we do not provide foundation only services or perform foundation repairs. We are trained and certified to provide professional emergency cleanup and disposal, including prevention of biohazard exposure, both from contaminated materials and airborne contaminates. Whatever the circumstances, it is an essential part of our job to make your home or business comfortable to occupy again. Did you know that the United States Environmental Protection Agency has enacted strict regulations involving any repairs, remodels, or painting in almost all structures built before 1978. This rule requires any person, homeowners and contractors alike, to follow certain procedures when performing any act that will create “paint dust.” You can read more about this ruling at www.epa.gov/getleadsafe. Due to the potential health hazards of “lead based paints”, it is best to know with great accuracy, if lead based paint is present in your home. Before you embark on a project, we can take samples from the areas you wish to work in, and submit them to an accredited laboratory for analysis, and furnish you with the results, to ensure you are in compliance with the EPA regulations. It’s important to stay cool in the Dallas-Fort Worth area. That’s why you need quality service when it comes to your air conditioner. Rely on A1Lightfoot to give you fast, reliable air conditioning service when you need it the most. Click here to learn more. Foam is sprayed on as a liquid, which expands and hardens within seconds. It is rigid enough to walked upon. After the foam is sprayed and the coating is applied, the roof temperature can drop over 70 degrees! We work with most insurance companies. Usually we are able to work within the scope of their estimates. We have an A+ rating with the Better Business Bureau. For a consultation please contact us.